Here are some important changes to traffic, transit and other public services you should make note of before you head out on Martin Luther King Jr. Day. WASHINGTON — On Monday, Jan. 21, the nation rests from work to reflect on the life of Martin Luther King Jr., who led the civil rights movement and was assassinated in 1968. 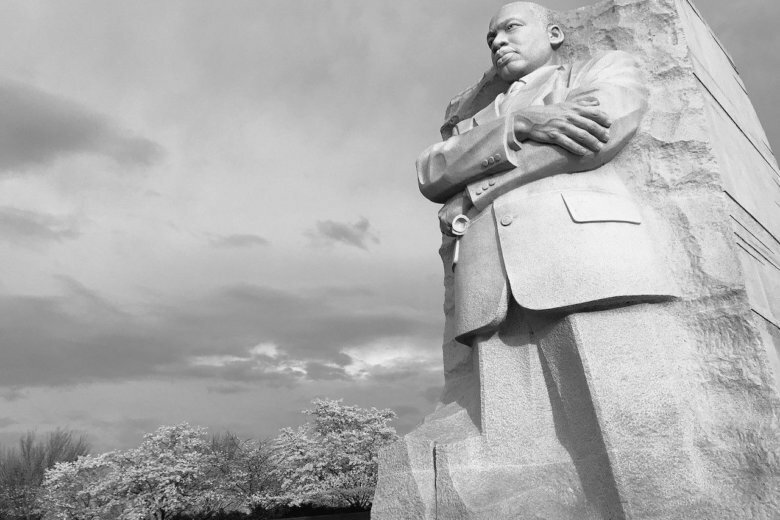 Whether you’re partaking in service opportunities in honor of King or heading near the National Mall to see his memorial, here are some important changes to traffic, transit and other public services you should make note of before you head out. Most post offices and banks in the area will be closed Monday. All federal and most local government offices will also be closed. Metrorail will open at 5 a.m. and close at 11:30 p.m. Trains will operate on a Saturday schedule and off-peak fares will be in effect all day. Parking at Metro-operated facilities will be free. Track work is also scheduled. Metrobus will operate on a Saturday supplemental schedule. In Virginia, HOV restrictions will be lifted in Hampton Roads and Northern Virginia on Monday. ART — ART 41, 42, 43, 45, 51, 55, 77 and 87 will operate on Saturday schedules. All other ART routes will not operate. STAR — The STAR Call Center will be closed and standing orders will not be provided. Please call beforehand to request a trip on the holiday or the day after. Fairfax County’s Fastran transportation services will not operate Monday. Montgomery County’s RideOn will operate on a holiday schedule. Prince George’s County TheBus will operate a regular schedule on Jan. 21, except Route 51. Regular operations for Route 51 will occur on Jan. 22. Call-A-Bus resumes on Jan. 22. In Howard County, the Regional Transportation Agency will operate on a regular weekday schedule. Alexandria Transit Company (DASH) bus service will operate on a Saturday schedule. Trash and recycling will slide to the next day for the remainder of the week in neighborhoods where trash is typically collected once a week. In twice-a-week collection neighborhoods, Monday’s and Thursday’s collections will slide to Tuesday and Friday. Tuesday’s and Friday’s collections will slide to Wednesday and Saturday. Holiday tree collections will resume on Tuesday. The Fort Totten and Benning Road transfer stations will be closed and will reopen on Tuesday. Parking meters, residential parking, rush hour lane restrictions or tow abandoned vehicles will not be enforced except along the streetcar line. Commonwealth of Virginia offices (including courts & DMVs) will be closed Friday, Jan. 18 for Lee-Jackson Day. Garbage and recycling will not be collected Monday and will be delayed by one day that week. All Alexandria Library branches will be closed Monday. The Alexandria Law Library will be closed on Friday and Monday. Parking restrictions at metered spaces, residential permit parking districts and other areas with signed parking time limits will not be enforced. The Virginia Department of Motor Vehicles will be closed on Jan. 18 and 21. On Monday, Jan. 21, the Chinquapin Recreation Center and Aquatics Facility will be open from 6 a.m. to 6 p.m.; the Charles Houston Recreation Center will be open from 9 a.m. to 6 p.m.; and the Torpedo Factory Art Center will be open from 10 a.m. to 6 p.m. All other recreation centers will be closed on Jan. 21. Parks will be open Jan. 21. All libraries will be closed. DMV and DMV Select will be closed. Trash, recycling and yard waste curbside routes will run on a regular schedule. There will be no mulch delivery. Public libraries in Fairfax County will be closed Monday. Residents should contact their trash and recycling collector directly for service schedule changes due to the holiday. All Neighborhood and Community Services will be closed Saturday, Jan. 19 through Monday, Jan. 21. Colvin Run Mill, Sully Historic Site and Green Spring Gardens Historic House will be closed Monday. Public libraries will be closed Monday. Circuit court will be closed. The county landfill in Manassas will operate on regular hours. All libraries will be closed Monday. All county government offices, courts and offices of the Rappahannock Area Health District will be closed Monday. Parks buildings will be closed. The Regional Landfill Residential Convenience Center and the Belman Road Recycling Center in Fredericksburg will be closed. All library branches will be closed Monday. All county offices are closed. Curbside collection of trash, recycling and yard waste will not be affected, but the waste management services facilities will be closed Monday. All libraries will be closed both Sunday, Jan. 20 and Monday, Jan. 21. The Eastport-Annapolis Neck Community will be closed Saturday, Jan. 19 for maintenance. Calvert Library will be closed Monday. Charles County Public Library will be closed Monday. County government offices will be closed Monday. The Animal Control Center will open from 8 a.m. to 5 p.m. There will be curbside recycling pickup; Landfill and Reichs Ford Road Recycling Center will be open from 7 a.m. to 4:30 a.m. Administrative offices will be closed. County government offices, courts, 50+ centers and animal shelter will be closed Monday. All parking regulations and fees will be in effect. Regular trash, recycling, food scrap and yard trim services will be in effect. The Alpha Ridge Landfill will be open. The Robinson Nature Center will be closed Monday. County parks and community centers will remain open. Howard County’s Restored Ellicott City Colored School will be open on Jan. 21; all other Department of Recreation and Parks’ historic sites remain closed for the season and will reopen in April. County liquor stores will open from 10 a.m. to 6 p.m.
All public library branches will be closed Monday. Parking is free at public garages, lots and curbside meters. No trash or recycling collection will happen Monday; trash will be collected on a sliding schedule for the week. Aquatics programs and facilities are open, but all other recreational classes and programs are canceled. The administrative office of the rec center, as well as the senior and community centers will be closed Monday. All county offices are closed except public safety agencies. All library branches will be closed Sunday, Jan. 20 and Monday, Jan. 21. The Mount Rainier branch is closed until further notice due to building issues. There will be no bulky trash pickups, but yard trim collections will occur Monday. Trash collection in county-contracted areas as well as curbside recycling collection will occur Jan. 22 through Jan. 25. The Electronics Recycling Acceptance Site and the Household Hazardous Waste Acceptance Site will be closed Monday. The animal services facility will be closed Monday.